When espousing the virtues of one fill type over the other, it’s important to point out that just as not all feathers are alike, not all synthetics are the same. Synthetic fibers are produced by a number of manufacturers under a dizzying range of trade names. The vast majority of those man-made fills fall under two distinct types: long-strand and short-strand fibers. For lack of a better description, long-strand fills resemble the rolled insulation you might put in an attic. It’s usually constructed in layered mats of extremely long fibers, thus the name. The long polymer strands resist clumping, but often feel like…well, sleeping under a rigid mat of attic insulation. Many long-strand insulators are simply too rigid for use in garments. Short-strand fibers typically afford a feel more akin to down, but tend to clump and separate. For that reason, short-strand fills are often used in gloves, some garments, and aside from a few exceptions, isn’t often used in sleeping bags. 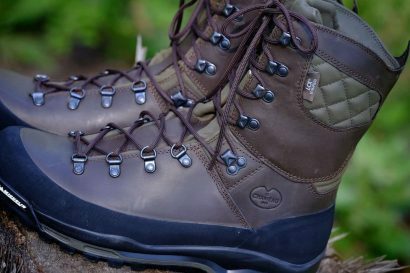 Today’s most common synthetics are sold under the trade names of, Primaloft, Thinsulate, Thermolite, Polarguard, and Climashield, just to name a few. Each of those brands will have sub-sets of fills ideally suited for particular applications. Down is a tad easier to digest. Down is sold by type and fill power. Type refers to the actual bird from which the down is derived, and fill power is effectively a measure of how fluffy the down is by wieght. With regard to type, Eastern European goose down is best as those downy feathers are said to be be the fluffiest, most durable, and odor free. Duck down is not ideal as it tends to be inferior on many levels, and when it gets wet, it almost always smells like Donald Duck’s backside. Technically speaking, fill power refers to a unit of measure. One ounce of down is added to a graduated cylinder, weighted, and measured by volume. As an example, 850 fill power down is the ethereally light and fluffs up to provide the best warmth to weight ratio. This brings us to the game changer and the reason why this discussion finally includes a new twist––water resistant down. New for 2013, water resistant down is sold under a handful of trade names by an increasing number of manufacturers. These feathers are treated on a microscopic level to make them almost perfectly waterproof. Read more about that amazing technology in a piece I wrote this spring – HERE. The primary advantage to synthetics is the price, but not necessarily the value. A down-filled product can be anywhere from 35% to 100% more than an equivalent synthetic-filled product. The second most significant advantage to synthetics is their ability to maintain some loft when wet. When down gets wet, it’s effectively worthless, and most likely ruined if it gets wet in the backcountry where it cant’ be dried properly. Synthetics also endure less than loving care better than down, which can be somewhat high maintenance. There’s no denying that synthetic fill is heavier and bulkier than down. It also has a shorter useful lifespan. Synthetics which see a lot of compression, like a sleeping bag, will begin to lose the ability to fully regain their loft after just a few years of use. I’ve found most upper echelon synthetics lose their temperature rating by about 10-20% after the first 5-6 years. Many people will chime in and say they’re still using the synthetic bag or jacket they bought ions ago, but it’s doubful it is as warm as it was day one. The performance fall-off beyond the five year mark for synthetics is often quite severe. The biggest complaint with synthetic fills relates to vapor transference. Synthetic bags and jackets do not allow body vapor to pass through them as well as their down-filled counterparts. This makes for a stuffy, clammy jacket or bag. Down is a much more breathable fill. Have you ever awaken mid-slumber in a synthetic bag feeling sweaty, clammy, and gross? That simply doesn’t happen nearly as much in a down bag which regulates vapor much better. Synthetics also don’t have the ability to envelop the user like down does. Mother nature is a crafty purveyor of fine goods. Nothing touches down’s warmth to weight ratio. It also has the ability to wrap itself around a body like a warm hug filling nooks and crannies and fending off cold spots. It breaths well, which is important for managing moisture, which is hugely important with regard to temperature regulation. It also packs down to near nothing. One of the more significant attributes of down is the potential longevity. I say potential as this all boils down to proper care and use. A well made and cared for down product can last for decades providing the same warming performance as it did on day one. This is why I believe down can, for some users, be a better value despite a higher initial buy-in. There’s no way around it, the big drawback to good down products is––Price. Down products require more complex baffle structures to keep the down from clumping or migrating. That gets expensive, not to mention those Euro-geese give up their down reluctantly. 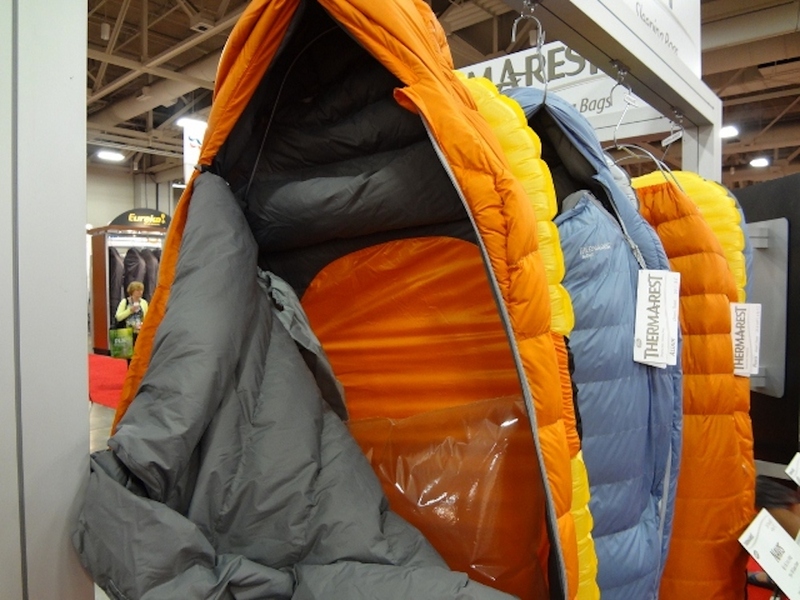 An 800+ fill-power sleeping bag will easily push the $400 mark. 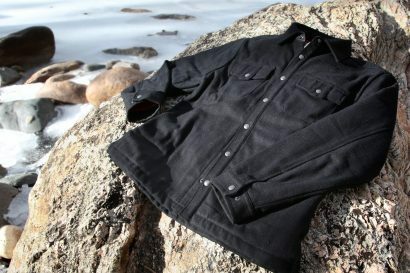 Same for a similar quality down jacket. Down also prefers to be lovingly cared for. It has to be washed with precision and will not suffer even mild abuse. Get it wet in the field and it’s not just worthless, it’s probably ruined. Now, let’s discuss this aspect in greater detail. There are certain knowns in the backcountry: Don’t cook in your tent, don’t stand on a mountain top in a lightning storm, and don’t get your down wet. I’ve sea kayaked thousands of miles with a down bag and it’s never been a problem. Once again, the advent of water-resistant down makes this aspect of down ownership less of a concern. In years past, this conversation was an endless volley of points and counter points. Both fills had their merits and shortcomings. 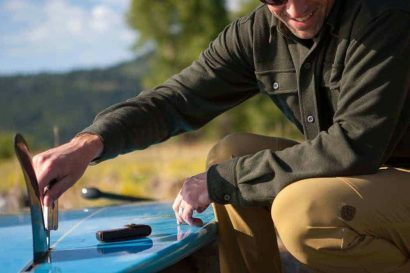 Water-resistant down has significantly tipped the scales, and now down appears to be the better bet. Many still cling to the notion that synthetic wins the price advantage, but I contend it doesn’t win the value award, and there is a difference between price and value. Because most water-resistant down products will outlive their synthetic counterparts by a factor of two, it becomes the smarter buy. Am I ready to declare down the better fill? Yes, but with a couple qualifiers. If you can endure the higher entry price, find your desired product filled with water-resistant down, and give it the love and care it deserves, I see modern down being a better performer, and a superior value.